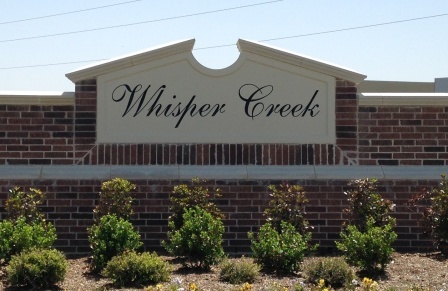 Whisper Creek in Flower Mound offers families unlimited amenities, outstanding schools and a location that offers a city lifestyle in a natural setting with parks, trails, dedicated woodlands and a near by lake. The neighborhood is heavily treed with natural park area and two creeks running throughout the community. Residents have convenient access to DFW International Airport and Lake Grapevine offers unlimited outdoor recreational activities with three marinas. Golfers can take advantage of 45 holes of golf at Cowboys Golf and Grapevine Municipal courses. The Northshore Hike and Bike Trail is great for cyclists and those looking for an outdoor retreat.